THE OPTIONS ARE ENDLESS WITH THIS 150 ACRES OF VACANT LAND IN A GREAT LOCATION IN THE TOWN OF GREENVILLE. EASY ACCESS TO HIGHWAY, SHOPPING, AND SCHOOLS MAKE THIS AN . . . COURTESY: STAR SERVICE REALTY, INC. THE OPTIONS ARE ENDLESS WITH THIS 115 ACRES OF VACANT LAND IN A GREAT LOCATION IN THE TOWN OF GREENVILLE. EASY ACCESS TO HIGHWAY, SHOPPING, AND SCHOOLS MAKE THIS AN . . .
GREAT LOCATION FOR THIS 116.5 ACRES OF VACANT LAND IN THE TOWN OF FREEDOM. LAND IS CURRENTLY USED AS FARMLAND BUT COULD MAKE AN EXCELLENT POTENTIAL DEVELOPMENT SITE AS . . .
BEAUTIFUL SITE FOR A POTENTIAL DEVELOPMENT IN A GREAT TOWN OF FREEDOM LOCATION. THIS 60 ACRES OF VACANT LAND IS A NICE COMBINATION OF WOODED AND OPEN LAND. IT CONNECTS . . .
132 ACRES OF VACANT LAND. CURRENT USE IS AGRICULTURAL. GREAT OPPORTUNITY WITH THIS 35.55 ACRES OF VACANT LAND IN THE TOWN OF GREENVILLE THAT NEIGHBORS AN EXISTING RESIDENTIAL SUBDIVISION. EASY ACCESS TO HIGHWAY, SHOPPING, . . .
PRIME 7.583 ACRES OF VACANT LAND WITH TREMENDOUS VIEW OF WESTERN HORIZON IN THE TOWN OF ROCKLAND. A GREAT SITE TO BUILD YOUR DREAM HOME! EAST DEPERE SCHOOLS! CONVENIENT . . . PERFECT LUXURY HOME OR CONDO DEVELOPMENT OPPORTUNITY! OVER 16 ACRES OF VACANT LAND IN HIGHLY SOUGHT-AFTER LOCATION. CUL-DE-SAC ACCESS AND STUNNING VIEWS CREATED BY . . . COMMERCIALLY ZONED VACANT LAND IN A GREAT LOCATION FOR A BUSINESS THAT WOULD LIKE VISIBILITY FROM HWY 441. LOCATED IN THE GROWING EAST APPLETON RETAIL CORRIDOR NEAR BEST . . . THIS VACANT PARCEL AWAITS YOUR DEVELOPMENT FOR RETAIL, OFFICE OR SHOPS. HIGH TRAFFIC COUNT-16,000+ CARS A DAY. LOCATED ACROSS FROM BERGSTROM AUTOMOTIVE. SELLER WILL . . .
2.47 AC COMMERCIAL VACANT PARCEL READY FOR DEVELOPMENT WITH DRIVEWAY OFF OF WAUKAU AND MUNICIPAL SERVICES ALONG ROADWAY. APPROXIMATELY 15,000 CARS PER DAY TRAFFIC COUNT. VACANT LAND FOR DEVELOPMENT. LOT 1.75 ACRES LIST PRICE OF $3 PSF. HIGH VISIBILITY. ZONED SMU AND LOCATED IN THE CITY OF OSHKOSH CLOSE TO OTHER MULTI-FAMILY UNIT . . . VACANT LAND LOCATED APPROXIMATELY 8 MILES SOUTH OF WAUTOMA AND 17 MILES NORTH OF MONTELLO. STUNNING EASTERLY VIEWS FROM THIS 1.12 ACRE LOT WITH 106 FT OF SANDY SHORELINE ON LCO! WITH ITS OWN DRIVEWAY IN PLACE AND ELECTRICITY AT THE ROAD, YOUR BUILDING SITE IS . . .
5.26 ACRES OF COMMERCIAL ZONED VACANT LAND. HIGHLY VISIBLE TO HWY 41 VEHICLE TRAFFIC. OVER 64000 VEHICLES PER DAY. LAND IS LEVEL AND READY FOR DEVELOPMENT. EXCELLENT . . . VACANT COMMERCIAL AND/OR OFFICE LOT LOCATED IN THE HEART OF DE PERE. FULLY IMPROVED. READY TO BE BUILT ON. TIF AREA. THESE VACANT PARCELS ARE GORGEOUS AND WAITING FOR YOU TO FULFILL YOUR DREAMS! HAVE YOU BEEN DREAMING OF A PEACEFUL GETAWAY? HUNTING LAND? BUILDING YOUR DREAM HOME? DON'T . . .
A RARE FIND! WATERFRONT PROPERTY ON THE SUNSET SIDE OF PARADISE! OWN ONE OF THE LAST REMAINING VACANT LOTS TOUCHING THE SHORES OF GREEN BAY, IN WISCONSIN�S DOOR COUNTY . . . VACANT LOT IN A QUIET BAY ADJOINING A BUSTLING MAIN LAKE ON GORGEOUS LEGEND LAKE. BUILD YOUR DREAM VACATION HOME OR ADD ELECTRIC, WELL AND SEPTIC TO CAMP ON UNTIL YOU'RE . . .
PRIME COMMERCIAL DEVELOPMENT OPPORTUNITY!! LANDMARK CORNER VACANT LAND PARCEL LOCATED DIRECTLY NEXT TO THE HISTORIC ST CROIX FALLS CIVIC AUDITORIUM (FESTIVAL THEATER) . . . THIS VACANT LOT IS ZONED COMMERCIAL SMU-SUBURBAN MIXED USE. IT IS 80X262 AND BACKS UP TO COMMERCIAL PROPERTIES ON KOELLER STREET. EASY ACCESS TO INTERSTATE 41 AND . . . THIS VACANT PARCEL WITH OVER 35 ACRES OF LAND IS PERFECT FOR YOUR RECREATIONAL OR RESIDENTIAL USE. GREAT HUNTING POSSIBILITIES WITH ACCESS ROAD EASEMENT. THIS PROPERTY . . . COURTESY: COLDWELL BANKER TODAY'S REAL ESTATE INC. VACANT LAND IN THE NEW WOODFIELD PRAIRIE SUBDIVISION IN HOBART OFFERING LARGE LOTS, BEAUTIFUL VIEWS, POOL, AND CLUBHOUSE! CONVENIENTLY LOCATED ADJACENT TO THE PLANNED . 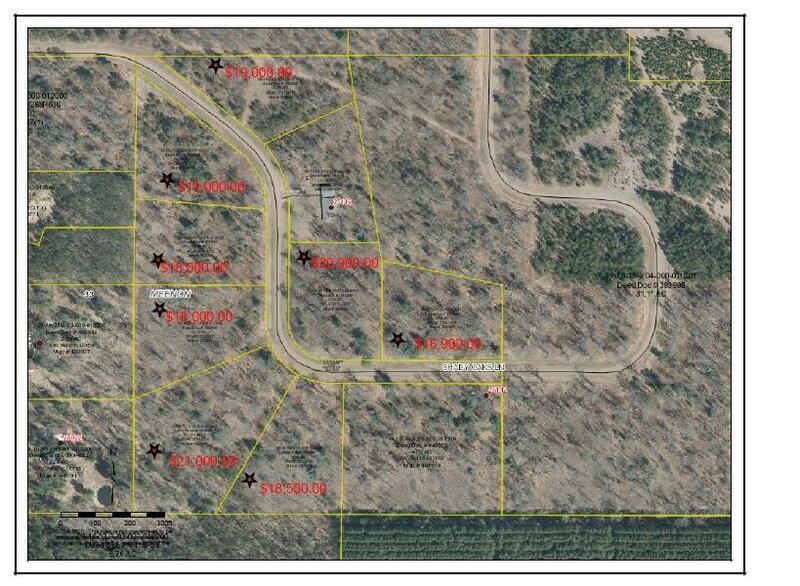 . .
110 ACRES OF VACANT LAND SURROUNDING MOST OF BOOT LAKE (POND). PLENTY OF WILDLIFE SIGNS DEER/DUCKS IN THE POND.FOREST FIRE WENT THRU THIS AREA SEVERAL YEARS AGO AND . . . BUILD YOUR HOME ON THE LAST VACANT LOT IN ELK VIEW ESTATES. BEAUTIFUL 5.99 ACRE SITE NESTLED IN A COUNTRY SETTING THAT IS PARTIALLY OPEN AND WOODED. THIS LOCATION . . . VACANT 2 ACRE LOT IN THE HEART OF WAUPACA! ENDLESS OPTIONS AWAIT WITH PRIME ROAD VISIBILITY AND AN IMPRESSIVE ANNUAL AVERAGE DAILY TRAFFIC COUNT OF 8900 ON WEST FULTON . . .
2.34 ACRES BUILDABLE! 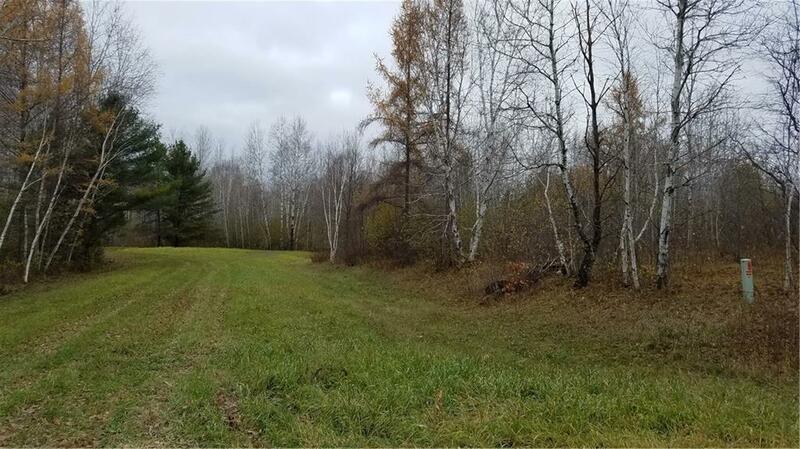 THIS VACANT LOT IS A RARE FIND ON FOND DU LAC�S SOUTHEAST SIDE IN THE TOWN OF EMPIRE WITH APPROXIMATELY 2.34 ACRES. HIGHLIGHTS OF THIS BEAUTIFUL . . . VACANT LOT ON SANDY BOTTOM PINE LAKE - FULL RECREATION 143 ACRE LAKE. FISH, SWIM, BOAT. PRICE REDUCED- LISTED BELOW ASSESSED VALUE !! A VACANT LOT ON EAST GREEN BAY STREET. ZONED HWY BUS I, SO DON`T WAIT, THIS IS THE NEW LOCATION FOR YOUR BUSINESS. THIS LOT . . .
2.5 ACRES, WOODED WITH 170' OF WATER FRONTAGE ON TRADERS BAYOU. THIS VACANT LAND IS LOCATED WITHIN 3-4 MILES TO ELEMENTARY, MIDDLE AND HIGH SCHOOL. ALSO, THIS LAND IS . . .
3 VACANT LOTS FOR ONE GREAT PRICE. BUILD YOUR DREAM HOME. THE CITY LOTS ARE WOODED WITH THE COUNTRY PRIVACY. IT IS VERY QUIET. POND IS NEARBY. BEAUTIFUL SURROUNDING . . .
BEAUTIFUL, LARGE LOTS BACKING UP TO PONDS AND GREENSPACE. LARGE CUL-DE-SAC LOTS. 3.4 ACRE MIN-PARK COMING SOON! EASY ACCESS TO HWY 29. YOU WILL NOT FIND ANY OTHER VACANT . . . REMARKS: FINAL PHASE OF EDGEWOOD ACRES NEIGHBORHOOD IN GRAND CHUTE. FULLY IMPROVED INCLUDES 2ND COAT OF ASPHALT, A WALKING TRAIL, WINDS THROUGH THE MANY CONSERVANCY . . .
COUNTRY LIVING ON 1.45 ACRES VACANT LAND! THIS 1.45 ACRES IS WITHIN MINUTES FROM THE FOX VALLEY. RARE VACANT LAND FIND. PERFECT LOCATION...SUAMICO SCHOOL DISTRACT. 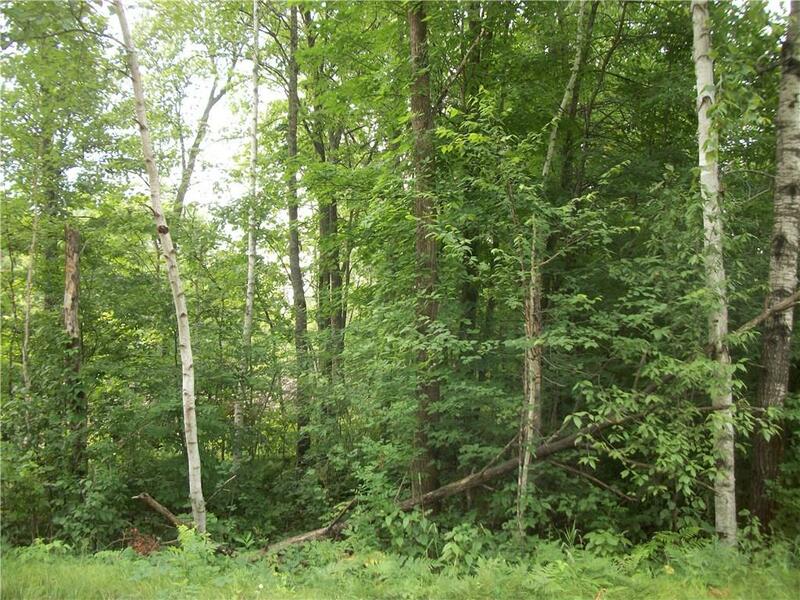 SECLUDED PRIVATE WOODED LOT JUST MINUTES FROM GREEN BAY AND HWY ACCESS FOR EASY TRAVEL. COUNTRY LIVING . . . VACANT LOT IN VERY PRIVATE SUBDIVISION. ONLY 11 LOTS AVAILABLE. LOTS HAVE ELECTRIC, GAS, SEWER AND WATER. CLOSE TO SCHOOLS, SHOPPING AND HIGHWAY. TOWN OF RICHMOND VACANT LOT ON THE WOLF RIVER WITH EXCELLENT FISHING RIGHT OFF THE DOCK WITH 80 FT OF FRONTAGE ON THIS LEVEL PARTIAL WOODED BUILDING SITE. BRING YOUR . . . FINAL PHASE OF EDGEWOOD ACRES NEIGHBORHOOD IN GRAND CHUTE. FULLY IMPROVED, INCLUDE 2ND COAT OF ASPHALT. A WALKING TRAIL WINDS THROUGH THE MANY CONSERVATION AREAS AND . . . VACANT LOTS ARE OPEN TO ALL BUILDERS OR LOOK FOR SPEC HOMES SOON. TRANQUIL SETTING WITH WALKING PATHS PLUS EASY ACCESS TO SHOPPING, HIGHWAY AND MORE! PRICED WITH YOUR . . . VACANT LOT RIGHT NOW. INCLUDED IN PRICE IS A 30X40 SHED WITH CONCRETE FLOOR, 1 3FT SERVICE DOOR, 18X9 OVERHEAD DOOR. SHED WILL BE BUILT SPRING OF 2019 SO TIME TO HAVE IT . . .
SOUTHEAST FOND DU LAC VACANT LOT W/ 1.63 ACRES &AMP; A BEAUTIFUL SETTING FOR YOUR DREAM HOME! WHISPERING SPRINGS ESTATES HAS MANY ESTABLISHED HOMES &AMP; THIS IS ONE OF . . .
BEAUTIFUL FISHING PARADISE! 1.98 ACRES OF VACANT LAND ON WHITE LAKE. LOOKING TO BUILD YOUR OWN HOME &AMP; ENJOY THE OUTDOORS, THIS IS YOUR CHANCE. WITH 165 FT. OF . . . VACANT LOTS ARE OPEN TO ALL BUILDERS OR LOOK FOR OUR SPEC HOMES SOON. TRANQUIL SETTING WITH WALKING PATHS PLUS EASY ACCESS TO SHOPPING, HIGHWAY AND MORE! PRICED WITH . . . VACANT LOT WITH AN OPPORTUNITY TO BUILD RESIDENTIAL OR MULTI-UNIT PER THE TOWN OF GRAND CHUTE. TOWN OF WABENO FOREST COUNTY (4) LEVEL VACANT COMMERCIAL LOTS IN THE MIDDLE OF TOWN-WITH ENDLESS POSSIBILITIES. CALL TODAY. BEAUTIFUL .35 VACANT LOT IN ROLLING HILLS NEAR SHERWOOD FOREST GOLF COURSE. PEACEFUL LANDSCAPE WITH PUBLIC SEWER AND WATER. 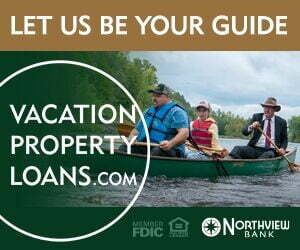 PICTURESQUE VIEW OF WOLF RIVER AND 200 FEET OF FRONTAGE WELCOME YOU TO THIS VACANT LOT JUST NORTH OF SHAWANO. EXCELLENT FISHING AND QUIET NEIGHBORHOOD ARE JUST SOME OF . . .
SOMETHING NEW IN CONDO LIVING! INDIVIDUAL STAND ALONE HOMES THAT ARE PART OF A CONDO DEVELOPMENT LOCATED ON THE NORTHWEST SIDE OF OSHKOSH. VACANT LOTS ARE OPEN TO ALL . . . VACANT RESIDENTIAL LOT LOCATED AT THE END OF A CUL DE SAC. MUNICIPAL WATER, SEWER, ELECTRIC, GAS, CABLE AND TELEPHONE. 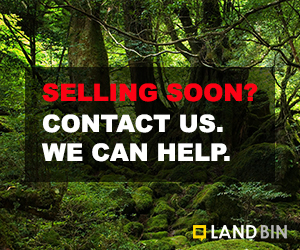 OVER 1 ACRE OF VACANT LAND TO BUILD THE HOME OF YOUR DREAMS. SHORT DRIVE TO OSHKOSH AND NEARBY SMALL COMMUNITIES. BE PART OF AN ESTABLISHED SUBDIVISION IN THE TOWN OF . . . BUILD YOUR DREAM HOME ON THIS AMAZING VACANT LOT IN DAIRYLAND ESTATE SUBDIVISION! DOZENS OF LOCAL AMENITIES JUST A SHORT DRIVE AWAY AND A SMALL COVENANT WILL HELP ENSURE . . . VACANT LOT ZONED GENERAL COMMERCIAL. VISIBLE SITE FOR YOUR BUSINESS. LAKEWOOD, OCONTO COUNTY. BEAUTIFUL VACANT LOT LEVEL AND NICELY WOODED READY FOR YOUR UP NORTH GET A WAY! . THERE IS A DRILLED WELL AND A CONVENTIONAL SEPTIC SYSTEM . . .